Currently on tour for The Long Surrender, the band’s setlist for the evening drew primarily from that album. While there were some old favorites that I missed hearing, I do enjoy the new songs. 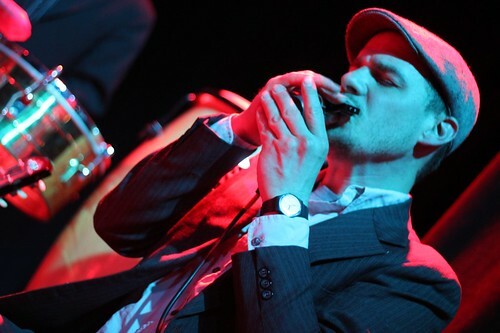 Some of the new songs have been floating around for a while now; I saw them perform a few of them at SPACE last year. It’s been interesting to see which new songs made the cut for the album and which are still just live-only tracks. Unlike some bands who constantly re-tool new songs between being debuted on the road and winding up on a record, the newly debuted songs last year didn’t sound all that different from their official, post-release renditions. 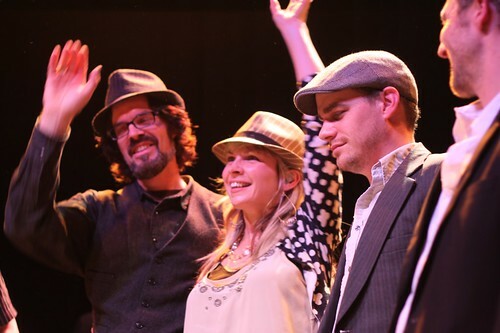 It’s a fact that makes it easy to convince someone to see Over the Rhine in concert: if you like Over the Rhine’s studio albums, you’ll love them live. End of story. The main thing that I love about an Over the Rhine show is that there is always a sense of warmth and family present. There’s never a disconnect between performer and fan. The whole show feels like a conversation, like we could be sitting in Karin and Linford’s Civil War-era house, their dogs curled up on the sofas, listening to them chat and sing, like we’re all old friends. They tell stories, both spoken and sung, and for just a little bit, you can wrap yourself up in Karin’s warm voice. You don’t have to forget your troubles, but maybe you can exorcise some demons along the way as she sings. Lucy Wainwright Roche is a frequent opener for Over the Rhine, something that makes me immensely happy, as it gets Lucy and her beautiful voice and simple folk songs even more exposure. 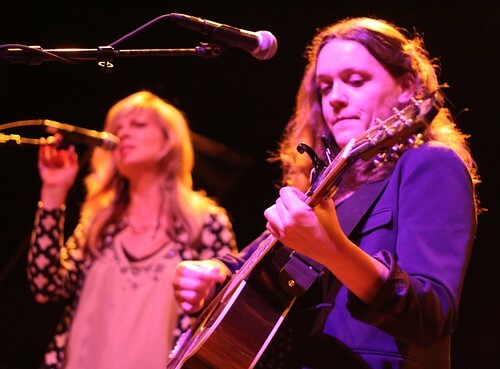 I first found Lucy several years ago, when she was just finding her feet in the busy world of Wainwrights-as-musicians, and have been pleased to follow her career since then, whether it’s a house concert in Bridgeport or opening for half-brother Rufus in a large, ornate theatre. Her wry sense of humor and storytelling always charm the audience; every time I’ve seen her, I’ve always been struck by how many people leave the concert talking about how much they enjoyed Lucy. (I go to a lot of shows. It’s not often that people are still talking about the opener, even after the main act is finished.) 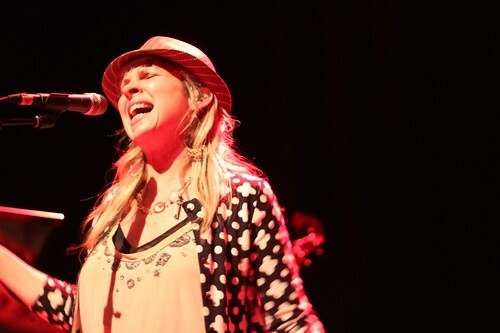 Many of her songs came from her new, self-released album, and Lucy even got Over the Rhine in on the action during her set, bringing them up for a sing-along to Bruce Springsteen’s “Hungry Heart”. See the rest of my photos on Flickr. For more photos which are way better than mine, check out Tammi Myers’ at QRO Magazine.